Cherry and Spoon: Minnesota Fringe Festival 2018: "Proof! 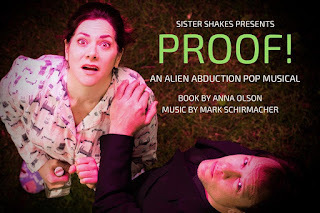 An Alien Abduction Pop Musical"
Minnesota Fringe Festival 2018: "Proof! An Alien Abduction Pop Musical"
Summary: The title says it all: it's a musical about a woman abducted by aliens.